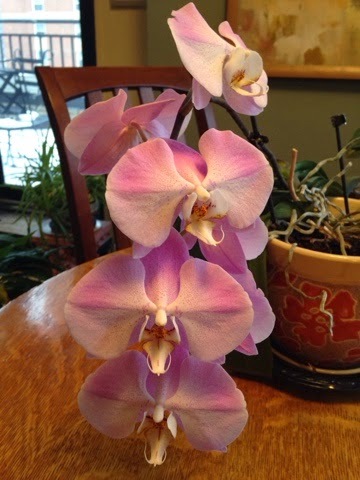 Sure it's frigid outside, but in my home this blooming orchid reminds me that spring will be here soon. Every year around this time, the flowers return in all their glory. It's a sight that never gets old.